In the course of advising startups (and some existing clients) on how to gain traction with their business proposition, I ultimately have a conversation about target buyers. Notice the word “buyer” –it is a different word altogether than “shopper” and “viewer.” When we obsess on trying to get web traffic, foot traffic, and the like–but not on conversion–we have lost sight of what is ultimately most important. If given the choice between 100 website visitors of whom 20 become buyers or 1000 of whom only 15 become buyers, most would actually choose the 1000. Their reasoning would likely be that 1000 impressions is better than 100 and that they hope that the other 985 could be targeted for future conversion or word of mouth marketing. Yet, your business would have 5 fewer sales and a significantly lower conversion rate (1.5% vs 20%). Better, we would argue, to have a high conversion rate, more revenues, enhanced cash flow, and the opportunity to build relationships with five more people. So much effort is wasted among entrepreneurs to get traffic–and not just in an online sense–that very little is left to think through conversions. Conversions are a better predictor of long term success than impressions. Get this thought into your psyche. It can make the absolute difference between success an failure. 2. Get into your customers’ psyche. People buy not only because they need things, they often buy to satisfy something deeper in them. It’s often the feeling they associate with a product that they finally make the decision to buy. Everybody needs a pair of shoes, but not just any shoes can satisfy that need. This is when branding, reputation and customer service come into play. In fact, this is why there is marketing in the first place. Get into what excites and interests your target market. This is the only way you can tailor-fit your campaign to the people who would not think twice of paying for what you have to offer. 3. Where are your customers? 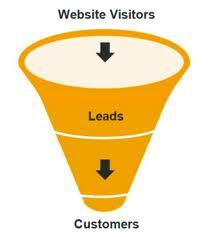 In online marketing, determining how your market interacts with the Internet is very important. It gives you leads to “where” they are online. Online behavior can point you to what sites they frequent, the social-media networks they prefer, the news they’re more likely to read and so on. If you know where they are, you can be sure to focus on places you need to have a commanding presence. This assures you of a steady stream of traffic of ready-to-pay customers, and it prevents you from effectively barking up the wrong tree. We all know how costly and time consuming that can be. 4. Do you really know them? To really pinpoint who your target customer is, you’ll want to dig in deep… find out how they tick, if you will. The key is to learn about them, even change with them over time. So basically, this means you can’t just buy one customer list and operate off that in perpetuity. You’ll need to continuously find out about your target audience. Are they reading things you should be reading? Do they shop at stores you’ve never heard of? All of these puzzle pieces could fit together and help you identify the bigger customer picture, if you’re willing to spend time accumulating them. 5. Close in on the deal. Once you know your customers and understanding where they are and how they think, you can specifically design an online marketing campaign that appeals to those people who would love to pay for your products or services. By being a problem solver, you’re forced to know yourself and understand your brand’s strengths and weaknesses. But understanding who you want to engage with online really seals the success of your business. ← Why Ignore the Obvious?